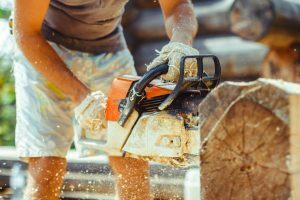 A good electric chainsaw or a pole saw is a perfect tool to add to your toolkit. 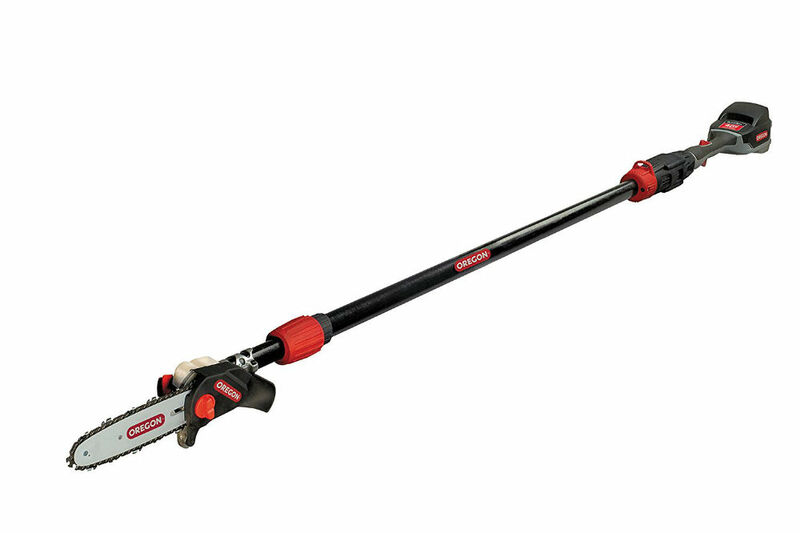 This device is great for home improvement projects or the occasional cutting down of branches. 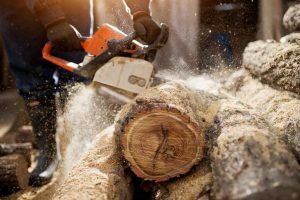 There are a ton of options for pole saws out there to choose from. Each is great in their own aspect. However, it gets really difficult to choose one amongst the several that are available. So, if you are in the market right now for a pole saw and need to know which one is the best out there, you’re in luck! As today we will be reviewing the Oregon PS250 40V Cordless Pole Saw. 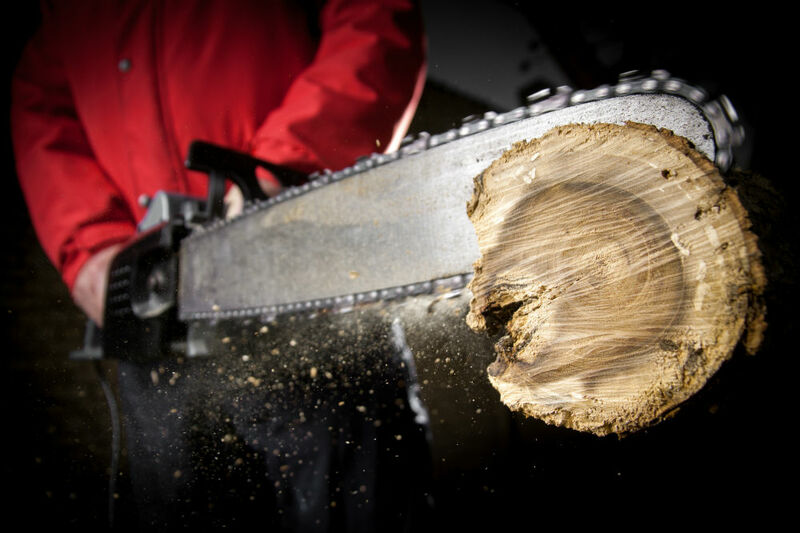 For those who are well-versed with chainsaws and pole saws, you must be aware of Oregon as a brand. Oregon is not only famously known for its chainsaw and pole saws, but also for its chainsaw chains. Oregon chainsaw chains are of extremely high-quality, and they basically provide as a benchmark for chainsaw chains. So, you can be certain that any pole saw from the brand Oregon will offer you nothing but the best. Let’s get into in-depth reviewing of the Oregon PS250 40V Cordless Pole Saw. Why choose the Oregon PS250 40V Cordless Pole Saw? 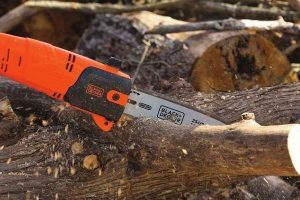 As far as first impressions go, this pole saw will come in a simple and humble packaging. There is no extra frills or glossy boxes filled with colors. It’s plain and simple and very to the point. But, not just the packaging is simple, so is the pole saw itself. Oregon has chosen a very simple design for this pole saw. There is nothing that will overwhelm you. The first thing that will come to your notice is its solid construction. There are no frills to the pole saws design as well, and it comes in a red and black matte finish. 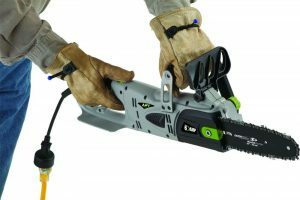 This pole saw features a lithium-ion 40-volt max battery. This gives up to 750 cuts on about two to three inches, but can even go up to four to six inches. 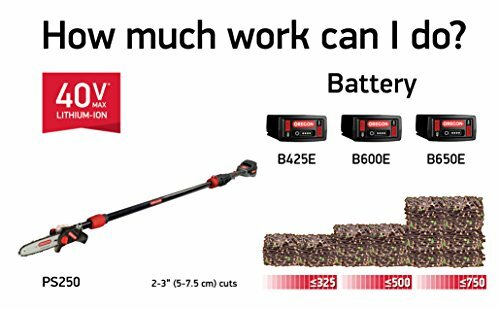 This battery is a little larger in size than other pole saws in comparison. This could be off-putting for some potential buyers. However, a larger battery also means more power. Which means you can be assured that this pole saw will not die on you, mid-project. This Oregon pole saw comes with a premium cell technology 6.0 Ah battery pack that is included with the device. In addition, this battery also comes with a rapid charger. The company claims that this 6.0 Ah battery can be charged in about 90 minutes. In order to show how much battery power is left, there is a battery level indicator feature installed too. The battery is interchangeable. 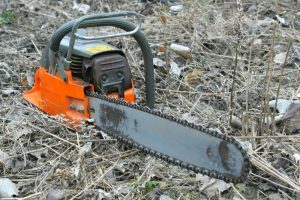 You can replace it with other Oregon 40 volt tools, such as the chainsaw, hedge trimmer, string trimmer as well as a blower. 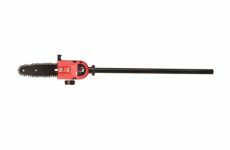 The extension shaft casing on the Oregon PS250 pole saw is made out of a fiberglass composite. It is oval in shape and also extremely lightweight. Once assembled fully, this Oregon pole saw balances really well. They have also included a strap that you can wear on your shoulder, which makes it easier for you to use this saw. With the battery on, this pole saw weighs about 13.5 lbs. Using this pole saw is really simple. You don’t need to worry about accidentally starting this saw as it comes with a trigger lock. 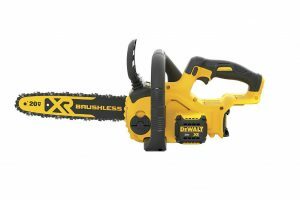 It also comes with oil which you can use the first time when you power up this saw. This machine has an automatic oiling feature. One of the biggest advantages of the Oregon PS250 pole saw is that there are no vibrations from the machine. The fact that this pole saw is cordless is in itself an advantage as you are not left untangling and restricted by a power cord. This pole saw has an eight-inch bar and cast. It also comes with an aluminum branch removal hook. This machine can sort of be on the heavier side, so, you will need some strength in order to use this pole saw. Although, using this pole saw is very comfortable. Not only is the shaft on this pole saw strong and sturdy, but also there’s no flexing necessary. It also features a tool-free telescopic system. This helps you in choosing your preferred length in order to work. The maximum height this pole saw reaches is about ten feet, and the minimum is at about seven feet. For a cordless power tool, the battery on this is very long-lasting. 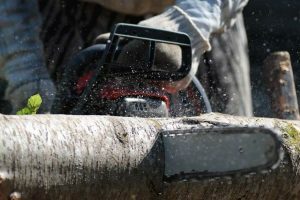 In its category, the Oregon pole saw is amongst the most powerful pole saws you will find. Despite its long length, you can be assured that this pole saw is well-balanced. Thanks to its simple design, it makes this pole saw really strong and durable. This pole saw comes with a cast aluminum branch hook as well. The Oregon pole saw is configured in a way that it comes with a cutting head which is really compact. This is to provide the user with an improved cutting agility. Though it has a strong and sturdy design, with great balance, you will need to have some strength while using this product as it does fall a bit on the heavier side. The cutting chain on this Oregon pole saw does have a tendency to jump. Assembly of this pole saw isn’t the easiest. It will take you a while and constant reading of the manual to achieve this feat. There’s a possibility that you may get a defective battery when you buy this product. If that’s the case, it is important to speak to the customer care for a replacement. Despite its fantastic power, this pole saw is going to be very loud when it is in use. So, we highly recommend that you get yourself a pair of earplugs while you are using this pole saw. To summarize, this 6.0 Ah 40V large battery can effortlessly provide 750 cuts between two to six inches. It weighs about 13.5 lbs. and has an amazing balance. We hope this in-depth review of the B01MUVHI0U has helped you get all your answers to your queries. Despite all of its cons, we have to say that this is a must-have product for your toolkit. Not only is it a powerful and sturdy device, but also it will last you a very long time.